Data recovery in the modern era is much easier than it once was. 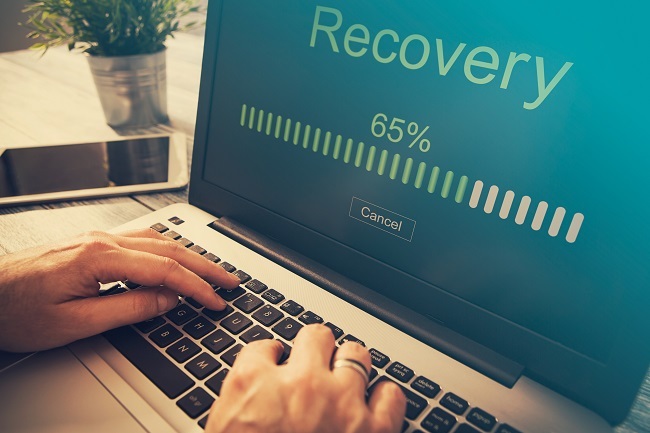 Both Windows and Mac now have built in backup and recovery tools that streamline the process and help minimize loss in the event of disaster. Both, however, take it even a step further. We’ve all forgotten to backup our hard drive. It’s that simple and imperative task that we either forget, or just never seem to have the time to do. 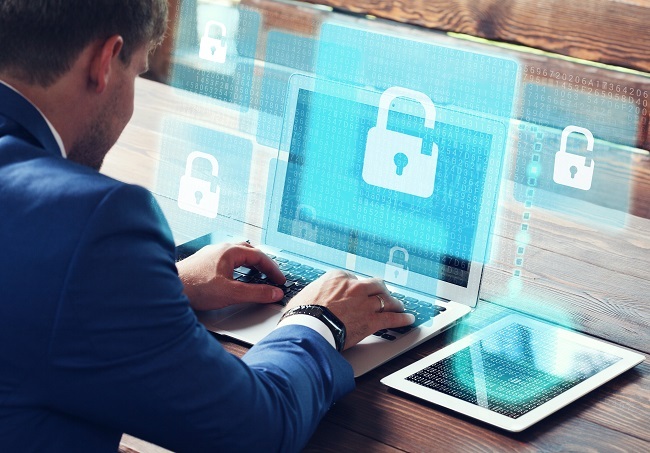 Thankfully, there are more options than ever for keeping your data safe, and even your operating system crashing doesn’t necessarily spell the end. Windows 10 has a great feature that will detect if it fails to boot and offer options for recovery. Even if you can’t get into the operating system you can usually restore your machine, barring catastrophic hardware failure. The option to keep my files during the restore process helps add an extra layer of security that previously wasn’t there. Even if this doesn’t fix the issue it does allow users an extra chance to backup that important data and avoid a potentially devastating data loss. The integration of OneDrive also helps give users an extra edge by storing documents, photos, and other vital information safely in the cloud. Apple now has an integrated internet recovery option built right into every computer. Simply press a few keys and select a few easy to follow prompts and you’re well on your way to getting back up and running. Furthermore, unless you use Disk Utility to completely erase the drive, it will keep your data exactly as it was and just reinstall a new copy of your current operating system. iCloud also helps further secure contacts, photos, calendars, and documents by syncing them to the cloud and offering the option to backup other important information. Computers often fail with little to no warning. It’s not easy to always be prepared. Knowing about the backup features native to your computer is a vital step in ensuring the things you hold dear stay safe and protected. It often only takes a few clicks and an external drive to make sure your data is backed up regularly and can save a lot of time, work, and memories when disaster strikes. If you need help or assistance recovering that important info, or just getting it setup you can always contact us. We’re here to help you make sure that you and your data are protected. When your computer crashes and it seems like there’s nothing else you can do, don’t restore your backup just yet. That’s a final solution that, aside from how it can irrevocably destroy current changes, might not do what you need it to. Here are two reasons to take your computer in for an expert to check out instead of turning to a backup. 1. You’ll lose a lot of information. If you run a business, your local server might save progress every night. But the backup schedule on your personal device is probably a bit less frequent. If you go back and do a total restore, you’ll lose all of your files, modifications to programs, and work that you added to between now and your last backup. There are two ways to prevent the fallout for next time: keep your files in the cloud so it’s not a problem. Also, if you have to restore your computer, start with just the system files to see if that’s enough to fix the problem. These miniature backups can occur daily, especially if you have a Windows device. If you have an Apple device, try starting up your device in safe mode to see if that automatically corrects any broken permissions that caused the crash. 2. It won’t always fix the problem. Unfixable computer crashes aren’t always sudden events. A lot of the time, it’s caused by errors that were building up over the past several months. If your computer has blue screened a few times but you never got around to solving the problem, that means the problem has wound its way into your backup restore points. Starting over from a few months go won’t be enough, and most computers start overwriting or deleting old restore points. Go to PC Geeks for specific solutions that can get your computer working again with minimal data loss. Data problems can and will develop. There may be vulnerabilities in your cyber security that gives outside parties the opportunity to steal information. Older, archived files could start to degrade and become unreadable. Even not systematically tracking your data could lead to lost servers, deleted data, and decentralized filing systems. Part of keeping your data safe is minimizing these instances as much as possible. The other part is planning for them. What should you do to prepare for a data loss? Have a template prepared to alert impacted parties. Most business-to-business contracts have language regarding response times for data losses. Depending on your business, you could also be legally required to alert customers and the public within twenty-four to seventy-two hours of discovering the problem. Make two to three templates ahead of time (with your lawyer or legal department’s help) so you can send it off within the window and don’t accidentally say something wrong in the pressure of the moment. Most businesses have one of two different backup systems. Either they have a short-term collection of data that holds all the progress made over the past day or week, or they have a server that holds manually archived back-ups of data from fixed points. It’s best to have both. Not only does that mean business can continue because you have redundancies, you have a collection of restore points. That’s useful for tracing back data corruptions or accidentally deleted information. These are just two of the steps that should be in place for peace of mind. Go to PC Geeks to learn more about the data recovery policies and tools that can make your company stronger. One of the most important assets that you have in your personal life or for work is your computer. Most people trust their computers to record and store a significant amount of valuable data on a daily basis. While data is typically stored and secured properly, there are situations in which your computer or laptop can be damaged and data can be lost. 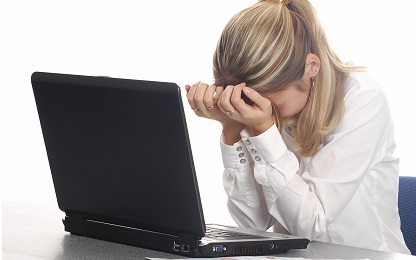 If you believe you have lost your data, it would be a good idea to have your computer or laptop assessed by a data recovery specialist as they could provide you with a range of valuable services. The primary service that a data recovery service can provide is to help you to recover your lost data. When your data is no longer available to you on your computer, it is typically not lost. Instead, there is usually a software or hardware issue that is making it challenging to recover. 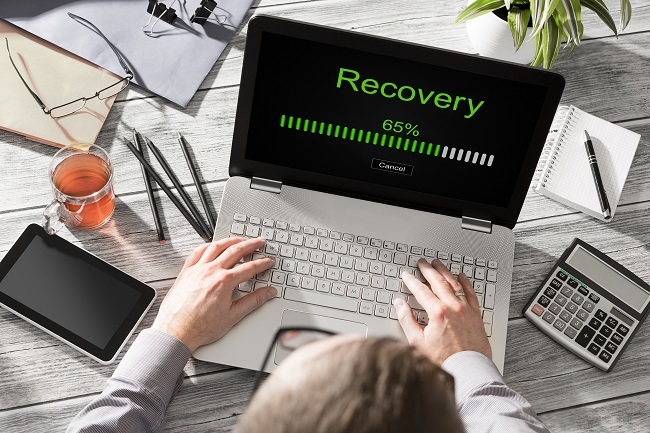 A data recovery specialist will be able to go through a number of different steps to recover this data for you and ensure it once again be accessible in a convenient manner. In the majority of situations, data appears lost because of an issue with either your hardware of software. The data recovery service will be able to properly identify what occurred to cause this issue and can then work to correct this problem. This can include making a repair to the hardware, replacing and upgrading software, or installing a new security system if it is believed that the data was lost due to a virus. If you have lost some valuable data on your computer or laptop, you should contact us immediately so we can start working to recover your data as soon as possible. We can also provide you with services to ensure your computer is working correctly so your data is never lost again. When it comes to computers and technology, there is little more terrifying than data loss. It is, sadly, inevitable. Everyone who stores data on any electronic device will eventually lose data. The lucky ones are those who remember to back up their data and can simply get their files from its backup location and continue as if nothing ever happened. Sadly, this will not always be the case. Most people will eventually find themselves in a situation where they lose data. There are a few ways to deal with this data loss, both to try and retrieve the data and to mitigate the issue. Depending on how the data was lost, it is entirely possible to use commercially available software to retrieve it. This usually involves the recovery software being installed prior to data loss as installing it afterward can potentially result in the data in need of recovery being overwritten by the installation of the recovery software. However, with some time, patience and a bit of luck it is entirely possible to recover lost data, if not for free then for only a fraction of what a professional data recovery service would charge. Certain companies offer a service known as data recovery where you pay a professional to examine the drive and retrieve your data. Of course, you will have to pay a premium for recovering data and the price will vary depending on how difficult it is to recover as well as if the service provider has to send the hard drive off to an external site and who is doing the data recovery as prices do tend to vary from place to place. Of course, while this is unlikely, it is entirely possible that a Data Recovery service might fail to recover your data. This is something to beware because some companies will charge you up front for recovering data which can be an issue if you pay $400, for example, and the company fails to retrieve your data. This kind of issue can be avoided, though. Just make sure to only involve trustworthy companies or individuals in repairing your data. While it will not be always possible to recover lost data, these services offer the best hope of data recovery. With time, some patience and a bit of luck your data may be saved. If you have lost data and need help getting it back then contact us today. We can help save your data! There are certain things you should never do. If you realize you’ve just done something bad, don’t turn off or unplug the computer in a panic. The computer’s faster than you; it’s already too late. Turning off a running computer without going through the normal shutdown procedure will leave the disk in an inconsistent state and make things worse. However, do shut down gracefully as soon as you can. When a computer deletes a file, it doesn’t overwrite the data; it just marks its storage as unused. If you don’t do anything else, the chances are good that the data will still be there. A recovery service should be able to get the file, or most of it, back. If you start seeing a lot of disk error messages, stop normal operations as quickly as possible and run the computer’s disk repair utility. Errors like these tend to cascade and can do increasing damage as time passes. If the repair utility can’t fix it, or if important files are still missing when it’s done and you can’t recover them from backup, then avoid doing anything else with that machine until a recovery service can look at it. When you’re injured, proper first aid can save a trip to the emergency room, and if you still have to go it will give you the best chance for a quick recovery. The same applies whether you’ve got a broken arm or a broken file system. To learn more about our services, please contact us. Extracting individual files from a broken hard drive is a difficult and time-consuming process, but it is one that professionals can handle with success on a consistent basis. Although you should feel better knowing that you can use our data recovery services at any time, you should also try to figure out how to avoid a situation in which you need recover important files. A solid state drive is different from a standard hard drive in the sense that it has a different kind of lifespan. It does not have moving parts, which means the lifespan is not related to the moving parts failing. For the most part, it has a maximum capacity of how much data you can put on the SSD throughout its entire life. It is easier to gauge when your SSD will fail in comparison to a regular hard drive. Although hard drives are not quite as reliable as SSDs made from reputable manufacturers, they are still the king of value, so you can store a lot more than you could with an SSD in the same price range. 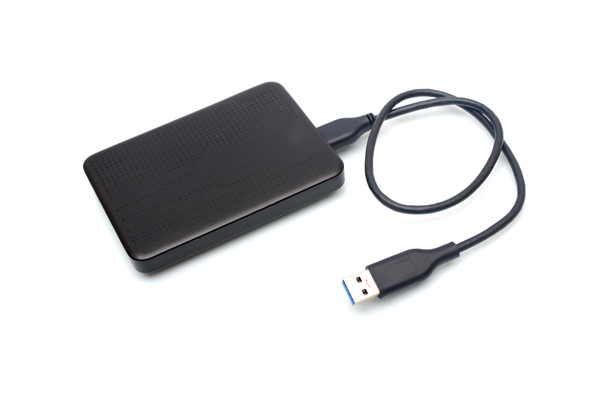 Ideally, you can use an extra hard drive to transfer your important files to on a regular basis. If you are willing to spend some extra money to get maximum protection, you can get cloud storage. Cloud storage is constantly backed up, so even if your data got deleted, you would have a guaranteed backup. When you go shopping for hard drives, you want to look at the failure rates of certain manufacturers and even specific models to ensure you purchase one that is less likely to fail prematurely. 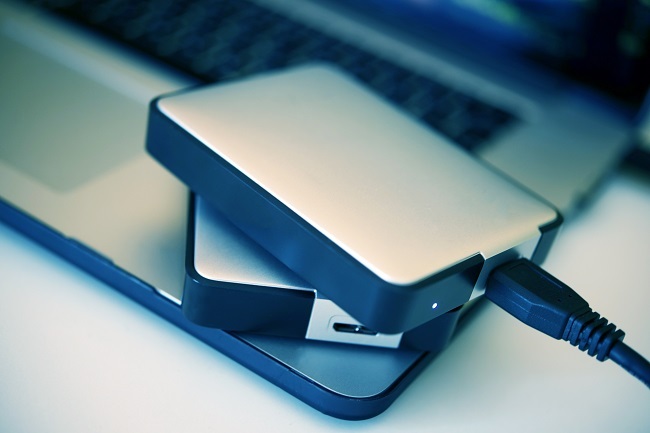 If you have any questions about data recovery or solid state hard drives, contact us today! Whether you are someone who casually uses your computer or uses it for multiple hours per day, you will eventually want to replace your old computer to take advantage of modern capabilities and enjoy improved performance across the board. A slow computer is unfortunate to have, mainly because you have to wait in-between each task, which can definitely add up over the course of an entire day. PC Geeks not only provides computer setup services, we can also help you protect your investment with backup storage. If you get a mechanical hard drive for your computer, you should know that will eventually fail. While you can enjoy many years of flawless usage, it is a smart idea to prepare yourself for the future. After you get your computer set up for the first time, you can start backing up files right away. It is easier to set up a system that automatically backs up your important documents as soon as they are created, as opposed to later going through all of your files and trying to find the ones that are worth saving. 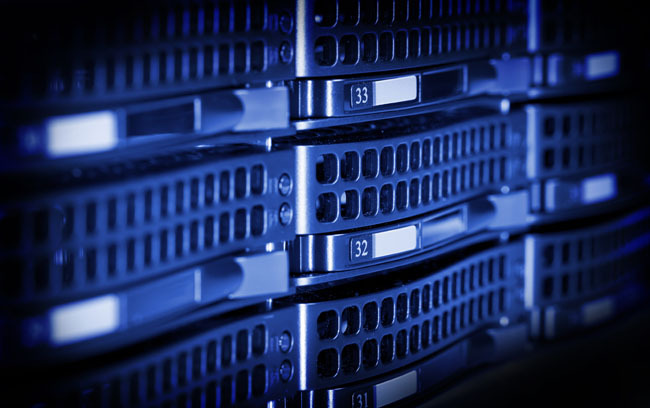 By investing in backup storage, you avoid the need to use data recovery services. 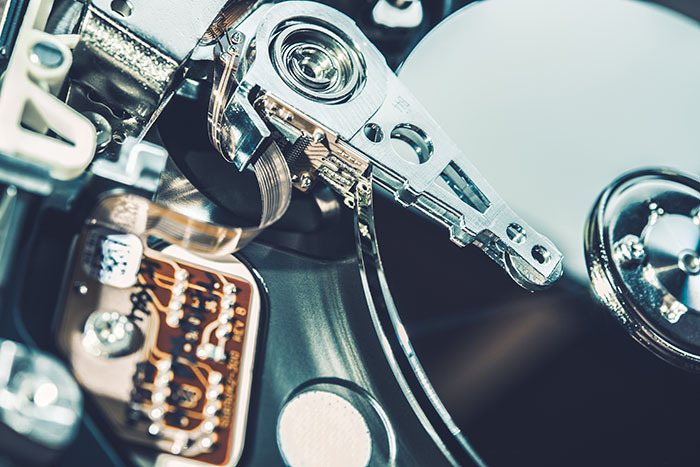 Although you could experience a rare predicament in which your primary hard drive and backup hard drive fail at the same time, you can still take advantage of our data recovery service to get your valuable files back. Contact us if you would like to learn more about backup storage or setting up a new computer. Old hard drives are bound to stop working at some point in time. Unfortunately, most people do not prepare for this to happen, which leads to their valuable information disappearing into thin air. If you have a hard drive that recently stopped working, you should know that there is still hope to get your documents and photos back. Although some procedures are more complicated than others, all you need is data recovery service. It is not uncommon to hold on to hard drives that may or may not be working anymore, but the best thing to do is to get the information off of them as soon as possible. Since hard drives are a moving piece of equipment, they can experience problems even when they are not hooked up to a computer. Once you decide that data recovery is the way to go, you may want to back up your photos and documents on the cloud after you get your files back. It will allow you to access these files anywhere in the world where you have an Internet connection, which can be quite relieving as they cannot be accidentally deleted. Another option is to invest in an external hard drive. Although these hard drives will eventually die, they should last quite a few years without a problem, so you can store your files with great confidence. In addition to having your original files and a copy of them on an external hard drive, you can buy an extra backup to have on hand, which would give you three hard drives that have your important documents and sentimental photos. Whether you have a broken hard drive or one that may not be working, do not hesitate to contact us with any questions you may have about our data recovery services. It’s happened to us all (if it hasn’t happened to you yet, we guarantee that it will at some point)… you’ve lost a ton of sensitive data, pictures, music, and programs to a malfunctioning drive or bad software. Modern data recovery tools can search out and find data on old, broken hard drives and, amazingly, recover them entirely intact. Even on old drives that haven been sitting in storage for years. There are few ways to prevent this from happening. One is regularly backing up data. A step that requires diligence on the user’s part, but is well worth the extra effort in the long run. Second, taking your computer to an expert as soon as you hear noises coming from the hard drive. Whirring, clicking, or grinding noises could be a sign of drive failure. Act fast, and prevent losing data. Avoid trying to recover data yourself unless you are very familiar with hard discs and recovery tools. A novice who gets in over their head stands the chance of losing critical data permanently. Stay away from “home remedies.” Sticking your hard drive in a freezer or tapping it on the side with a blunt tool are tricks that do not work. What’s worse, they can irreparably damage your hard drive, rendering it incapable of recovery altogether. – Try to back up data if you can. There is a no harm in trying. – If your drive is making any of the noises described above, avoid using software to try to recover data. – Leave the unit off if you are certain it is no longer working. – For external storage devices that have been dropped, have gotten wet, and so on, do not attempt to recover them yourself. Do not dissemble them, and leave it to a professional. Recovering important data from storage devices isn’t impossible. In fact, as long as the device or hard drive isn’t completely ruined or destroyed, it’s possible for a professional to recover everything that it once held. Interested in learning more about data recovery? Contact PC Geeks today!